Here at GE Roofing we value our work and diligence in tackling any project and treating the home projects or commercial projects as our own. The team is dedicated to doing our best to deliver the vision and goals of all our clients, as well as always aiming to offer only the best in reliability, quality, and service. GONZALO ESCAMILLA San Diego native, raised in Escondido, CA, and San Pasqual High School Alumni, I aim to bring only the best to the city that’s given me the best and opportunity to become a Roofing contractor. 15 years+ in the roofing industry, being trained by some of the best in the business like JFC CONTRACTING and A-1 RAIN GUTTER has allowed me to offer the best in quality & service. Having received my contractor license November 2017 I took on the challenge of starting my own business, GE Roofing Gutters & Roofs, prepared to tackle any project in the Greater San Diego Area and anywhere else roofs and gutters are needed. C39 Roofing specializes in all residential and commercial roofing systems, from the very large to the very small. Our scope of work ranges from traditional roofing systems and repairs, to preventive maintenance, and the latest in roofing technology. We provide Title 24 Energy efficient cool roofs, for commercial and residential buildings. C39 Roofing has earned its reputation for quality excellence. Projects are successfully completed by providing individual attention to our clients needs. Our priority is to help our clients achieve their goals, within their time frame and budget. 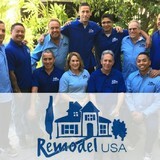 Dream To Reality Remodeling Inc.
What We Do Dream To Reality is a residential remodeling general contractor company dedicated to building a better Southern California. Whether you are planning an updated kitchen remodel, a green high performance home, or a face lift for the outside of your home, we’ve got the people and process to make your project a reality. We are a licensed, bonded, and insured home remodeling contractor offering a variety of home remodeling services. We specialize in kitchens, bathrooms, painting, landscaping, pools, windows, roofing , flooring , plumbing, electrical etc., with a stellar track record of satisfied customers. Working Together We offer an end-to-end client experience that includes seamless communication, budgeting, staffing, on-site organization, and solid, quality handiwork every time. 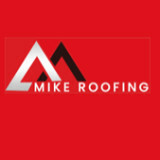 What do roofing companies in San Joaquin Hills, CA do? Your San Joaquin Hills, CA roofing contractor can install a new roof or repair an old one, as well as repair and replace gutters. Good roofers in San Joaquin Hills, CA should be able to promptly inspect roofs and gutters to assess damage after a natural disaster or other event, and give you an estimate for the necessary roof repair immediately. Some San Joaquin Hills roofing companies specialize in specific types of roofs, such as tile or metal, so make sure the one you are interested in works with the materials you have or desire. 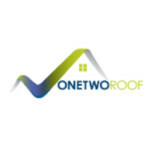 Find a San Joaquin Hills roofer on Houzz. 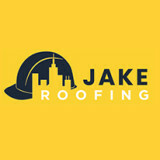 Narrow your search in the Professionals section of the website to roofing companies in San Joaquin Hills, CA. If you’re planning a large-scale project, find other professionals on Houzz who can help get the job done. Here are some related professionals and vendors to complement the work of roofing & gutters: General Contractors, Specialty Contractors, Siding & Exteriors, Door Sales & Installation, Garage Door Sales & Installation.